Here is evidence that Indians were enjoying wine as long ago as the eighteenth century when India was under the “Company Rule” of the British East India Company. 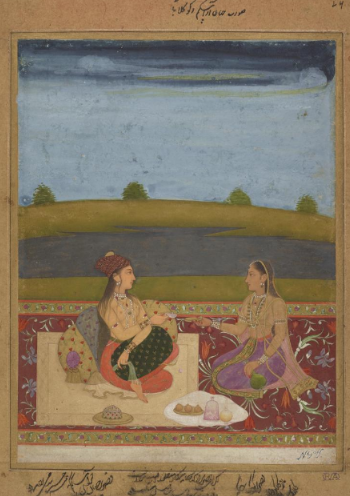 “Nur Jehan, Wife of Jehangir, Drinking Wine” is an anonymous watercolour now owned by the National Gallery of Scotland. The wine is presumably Indian. Viticulture in India has a long history and winemaking was encouraged during colonisation by the Portuguese and British.